Objective of this popular Solitaire game version is to clear the table of all 3 peaks made of cards. Only cards that are lower or higher than the card at the bottom deck can be removed. Tap on the deck to reveal the next card and play strategically to create combos chains which will give you bonus points. Use a wild card if you are stuck and try to complete as many rounds as possible. What high score can you achieve? 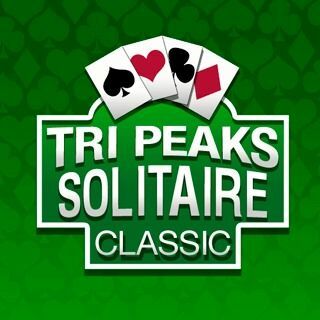 Tri Peaks Solitaire Classic - Find Tri Peaks Solitaire Classic in our vast HTML5 games catalogue. Only the best and newest HTML5 games for all audiences. Guaranteed success with Famobi.